Poly High School students provided more than 330 underprivileged youngsters with some holiday spirit just before the winter break, giving about 500 toys out to children on the school’s quad. “The quad exuded a welcoming atmosphere, and there were Christmas decorations everywhere. There was festive holiday music, a live performance by Poly’s Jazz II singers, and plenty of hot cocoa for all the guests,” wrote Kd Maleki, staff writer for Poly’s Highlife student newspaper. Poly ASB held the Sunday event with help from the school’s Red Cross and Nothing But Nets clubs, which contributed toys. The event included activity tables for the kids, including a cookie making station, penguin puppet decorating and ornament making. Most of the children at the event came from nearby elementary and middle schools. “My favorite moment was when a 5-year-old child was on his way out, skipped and exclaimed, ‘This is the best day of my entire life!’” said Poly Activities Specialist My Ngoc Nguyen. 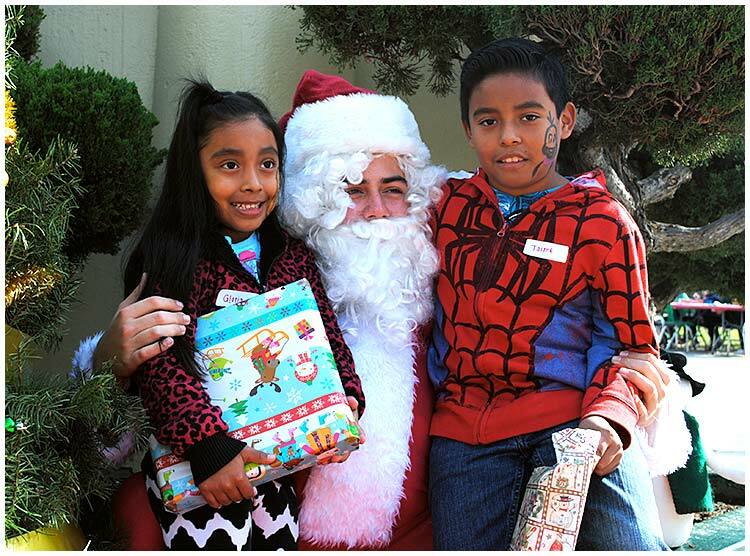 POLY SERVICE PROJECT – Local children were treated to toys, hot cocoa, cookies and holiday spirit by Poly High School students and staff during an event in the school's quad before the winter break.